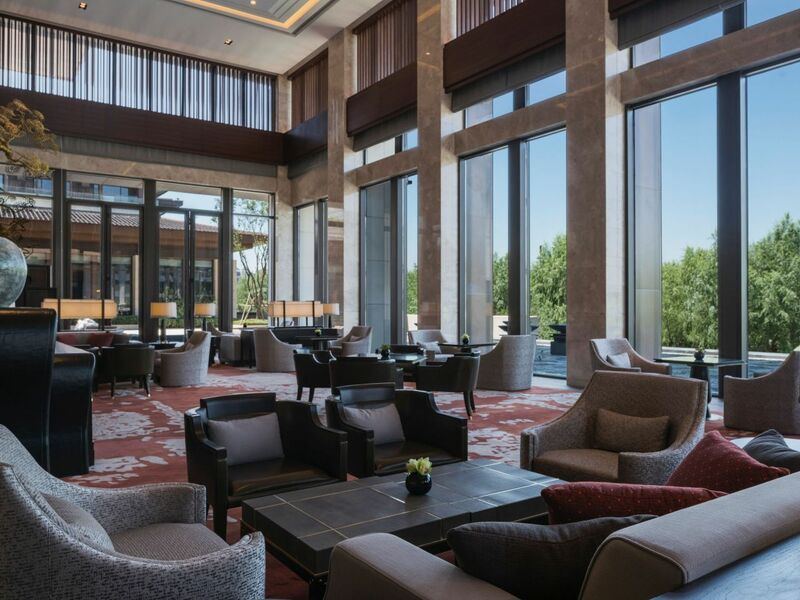 Hyatt Regency Xi’an offers tempting dining options for guests of all preferences and backgrounds.The authentic cuisine are blended with the essence of Xi'an traditions, revealing guests a taste of Xi'an's rich culture and history. Market café offers freshly prepared food choices from the open show kitchen and tantalizing food counters. A la carte options are instantly prepared upon guest's requests. The sheer variety of cuisines make it a popular dining venue in all seasons. The small terrace offers the unobstructed lake view throughout the day. And there's a private room for 12 people. Monday to Friday 6:30 - 10:30 a.m. Weekends and Public holidays 6:30 - 11:00 a.m.
Monday to Friday 11:30 - 2:00 p.m. Weekends and Public holidays 11:30 - 2:30 p.m.
Monday to Sunday 5:30 - 9:30 p.m.
Monday to Sunday 6:30 - 10:00 p.m.
Casual - pajamas and slippers are not encouraged. 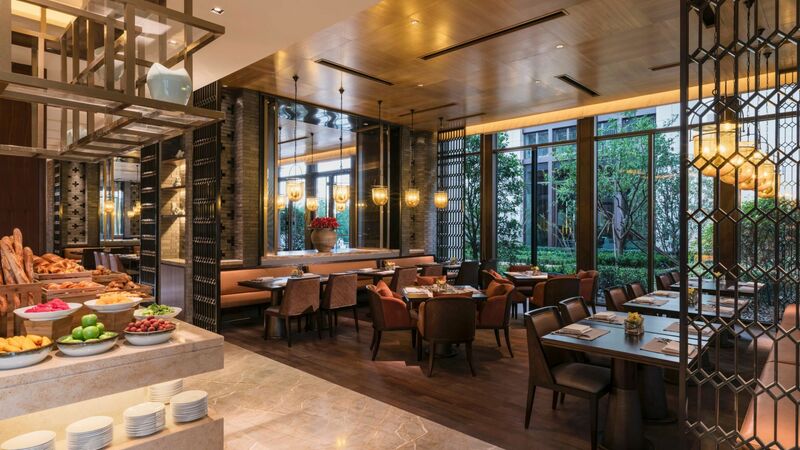 Hu Pan combines a modern design masterfully blended with the essence of Xi'an Tang Dynasty cultral elements. The palatial deco and red themed main dining hall echoes with the prosperity of the era. 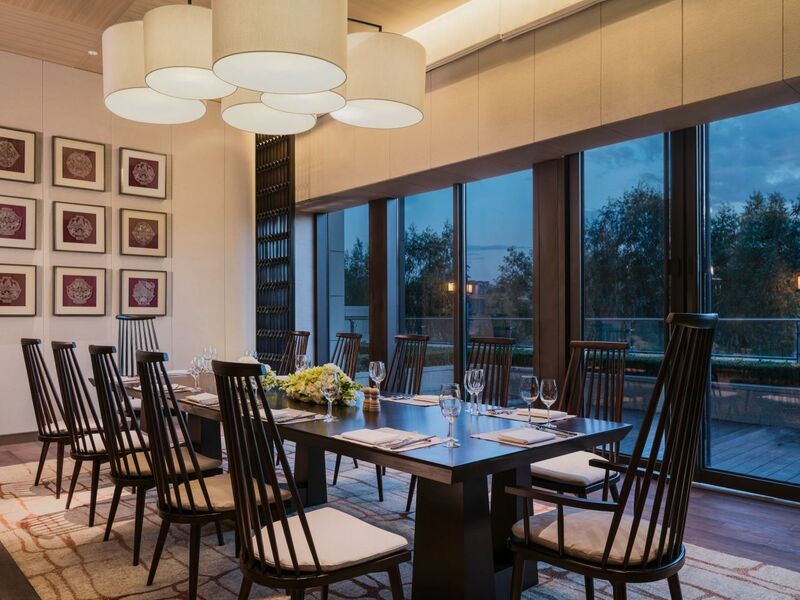 The ten private rooms with 24 seaters offers a tranquil view of the Central Chinese Courtyard. Monday - Sunday, 11:30 a.m. to 2:00 p.m.
Monday - Sunday, 5:30 - 10:00 p.m. 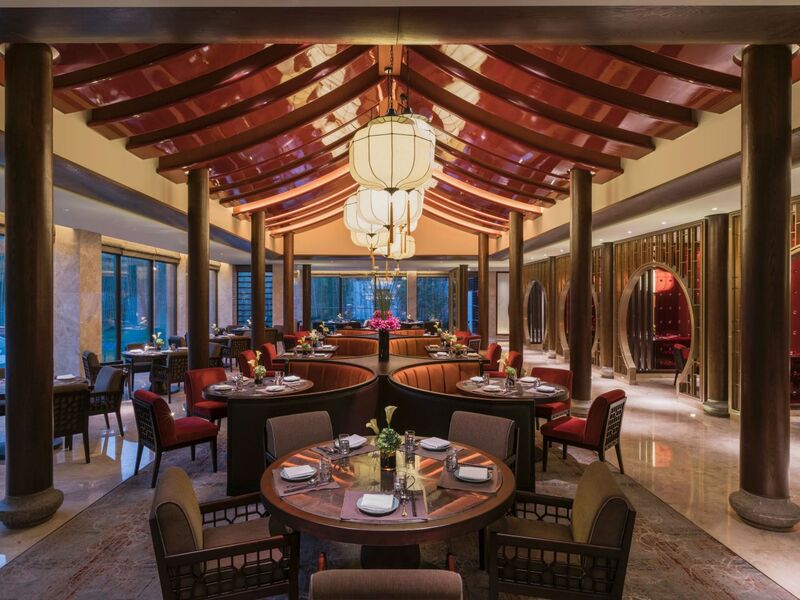 The majestic atrium design had split the restaurant into three main dining area, all enjoying the spectacular view of Quijiang lake. The three differently themed sections are the portrayal of the Silk Road. Room decorations that are blended with Chinese, Persian and Italian elements reveal the glamour of Xi'an's rich history. The Lounge offers light snacks, while the 3 sections offer their own signature dishes. It is a perfect spot to enjoy your glass of champagne or coffee in the evening. Monday -Thursday 10:00 a.m. to 11:00 p.m.